Research has shown that singing increases happiness and emotional well-being. People feel happier after singing than simply listening to music, probably due to the release of neurochemicals in the brain. It isn’t news to me that singing lifts your mood. The quiet teenager that would skip along the road after my weekly singing lesson, head held high and ready to conquer the world is testament to that. When I sang I came alive, through singing I could truly let go. I grew up loving musicals, perhaps because it is perfectly acceptable to sing and dance down the road in a musical and everyone is always happy. Singing as a group has additional benefits, according to recent research from Oxford University. Singing in a group encourages social bonding, and singing groups form friendships more quickly than in other group activities. Group dancing also produces similar results, suggesting that a shared musical experience and working together are key factors. Many of my closest friends were made during my musical theatre days and joining choir was the perfect way to meet people and make friends, when moving to a new country. A large proportion of the ladies in my choir joined because they were new to the area and wanted to meet new people, whilst sharing their passion for singing. Perhaps if we mix in a little dance we will be even closer? Singing is a natural way for parents to bond with babies . As a singer, I instinctively sang to my newborn babies when I was alone with them for the first time. Often a parent will get their first reactions from a baby when they sing to them. Smiles, laughter, calming, eye contact or gesture can all be encouraged through singing. When my eldest was born, I felt privileged that as an early education teacher, I knew lots of songs to share with my baby. With this in mind, I started a baby music group with my antenatal group. My aim was to reach out to others and introduce them to songs that they could share with their babies. 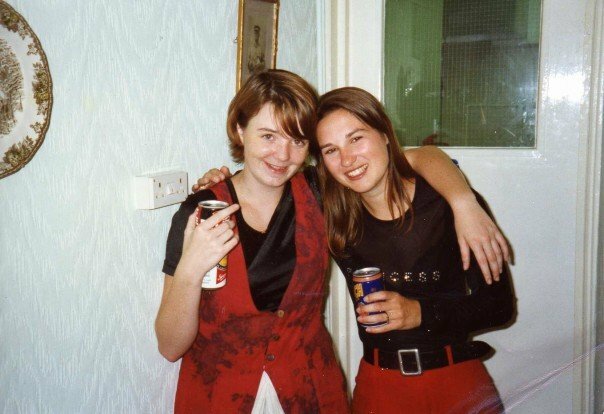 With hindsight, this not only helped the babies but also gave this group of new mothers the chance to socialise, at one of the most vulnerable times of their life. As new mothers singing to their babies, it didn’t matter if they felt they ‘couldn’t sing’ and we quickly built strong friendships. Group singing was an important part of my teaching day and something I was very comfortable leading. This confidence wasn’t shared by all the teachers but some approached singing time with enthusiasm and energy, even if they believed their own singing voices to be terrible. 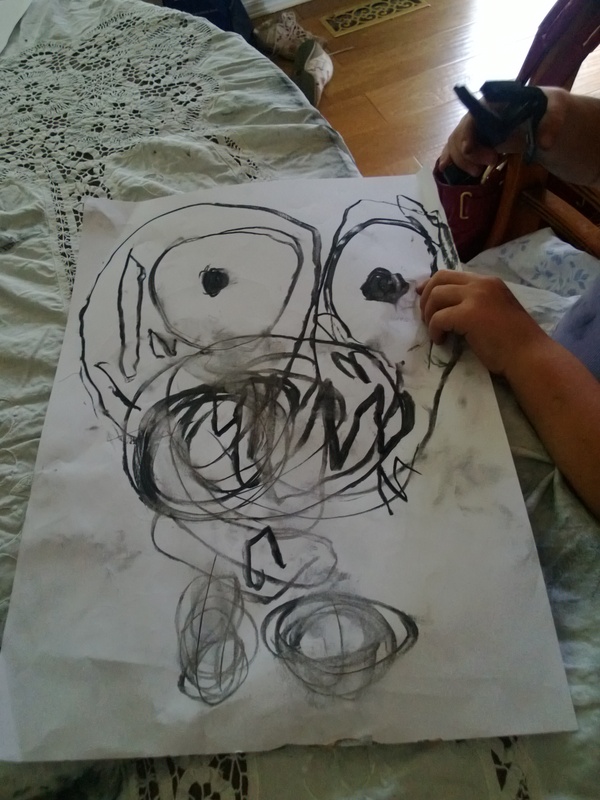 The children responded to the teachers who could have fun and draw them in, musical proficiency was never a factor. Singing in a group is a fundamental part of many preschool settings and is one of the ways in which children learn to work together. In order to create a unified sound the children have to listen to one another and share in the experience together. Young children are instinctively drawn to music and dance and sing without restraint. This usually remains with them until the age at which they become self-conscious and concerned about whether they are good enough. Reluctance to sing may also arise as singing becomes performance focused rather than purely for pleasure. One of my favourite memories of Christmas time, was the year my great aunts came to visit my grandparents. The sisters sat around the keyboard as my Auntie played and we all sang for hours. That family togetherness is difficult to replicate in other situations. My great aunts grew up in the era before television, when singing around the piano was part of everyday life. I believe that it is important for children to see that singing (and dancing) isn’t about winning a talent show. Sing along to the radio on car journeys, make up silly songs or fire up some karaoke videos and sing along. 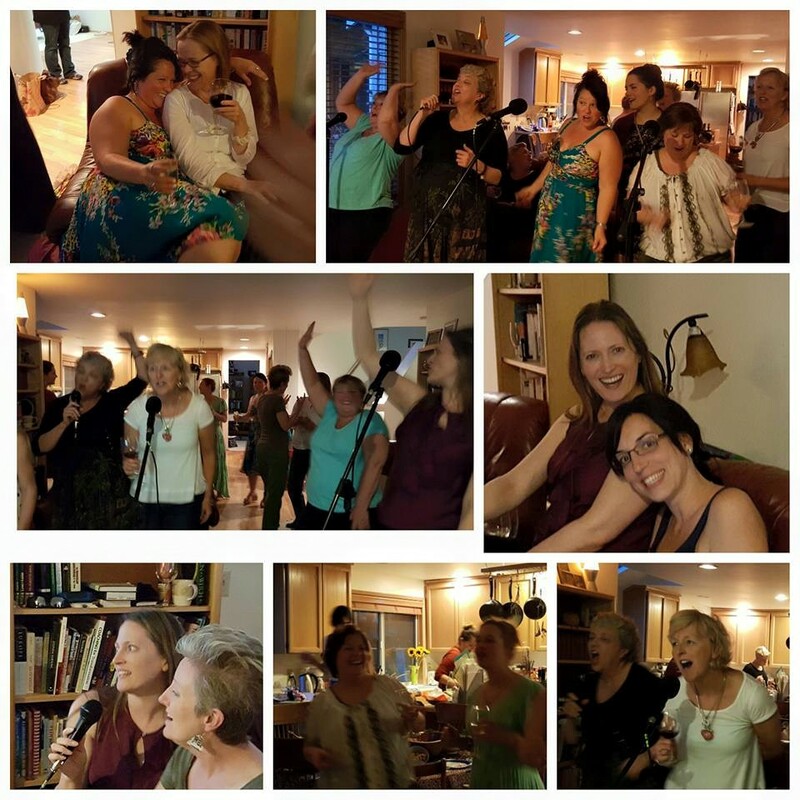 When we have friends around it nearly always ends up with a round of karaoke and it has paved the way to some of the best parties. I love that young and old, singers and non-singers join in and it is always accompanied by laughter and friendship. 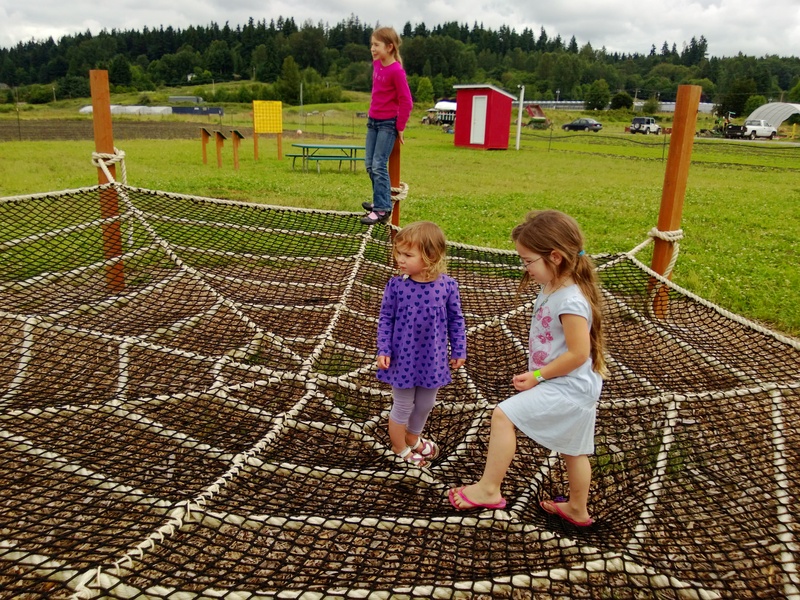 This time of the year there are spider webs everywhere. We stopped to watch a spider devouring a fly on our walk home from school and one has built a web right outside our window, so we watch his antics everyday. 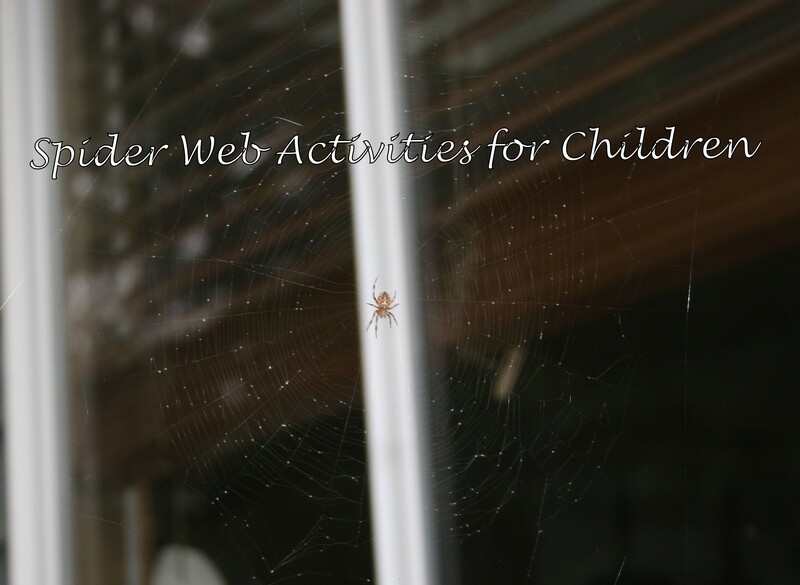 If your children are interested in spiders or you are looking for spider activities for Hallowe’en, here are a few we have tried. Tie sticks together into a star shape and weave a web with wool or string around them, wrapping around each stick as you go. 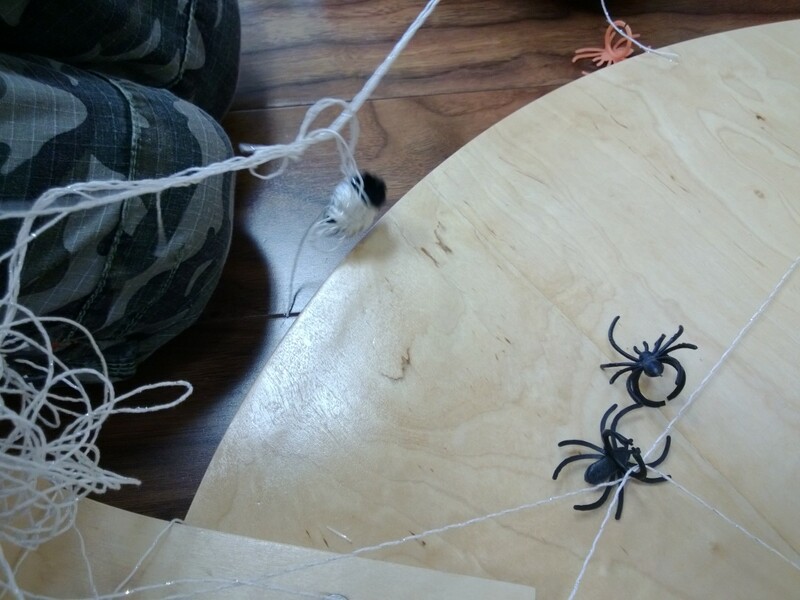 Weave a spider web inside a hula hoop for a large-scale decoration. 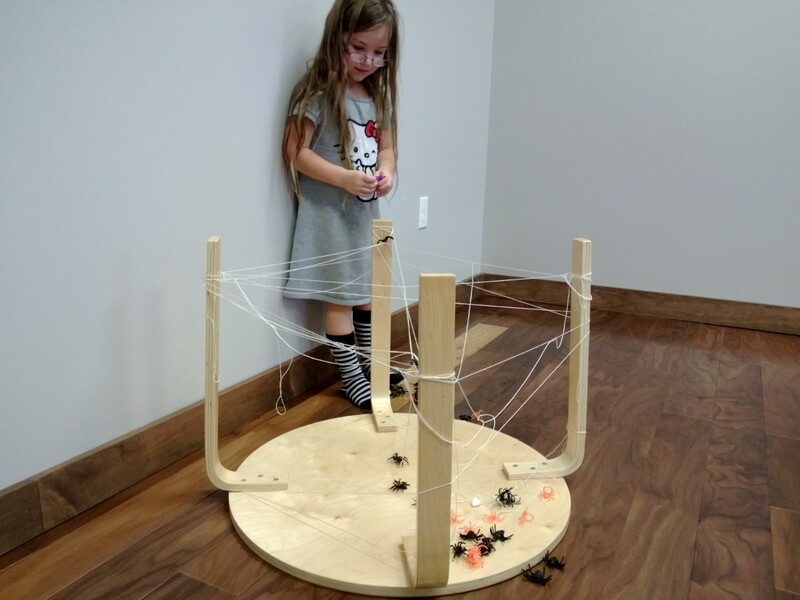 Turn a round table upside down and give the children a ball of string or yarn to make a web around the table legs. 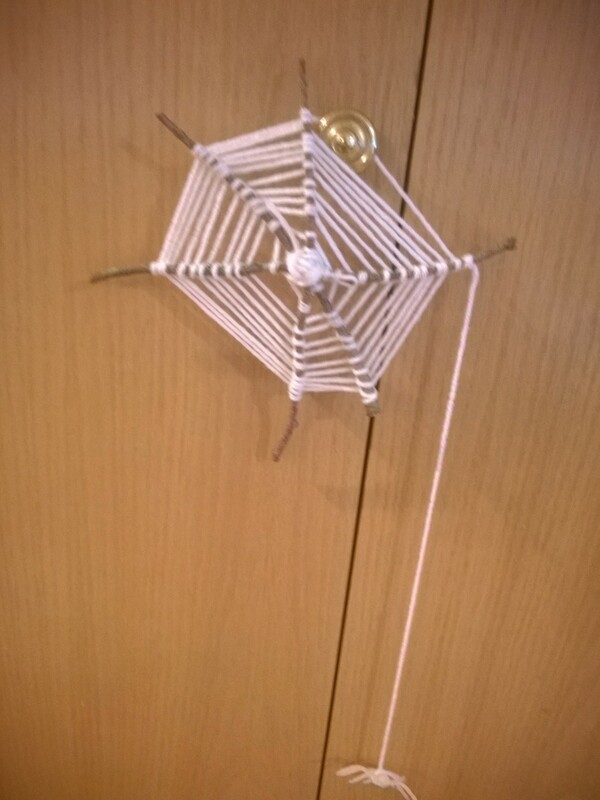 This child had watched the spider wrap up it’s prey, so hung these around the web. 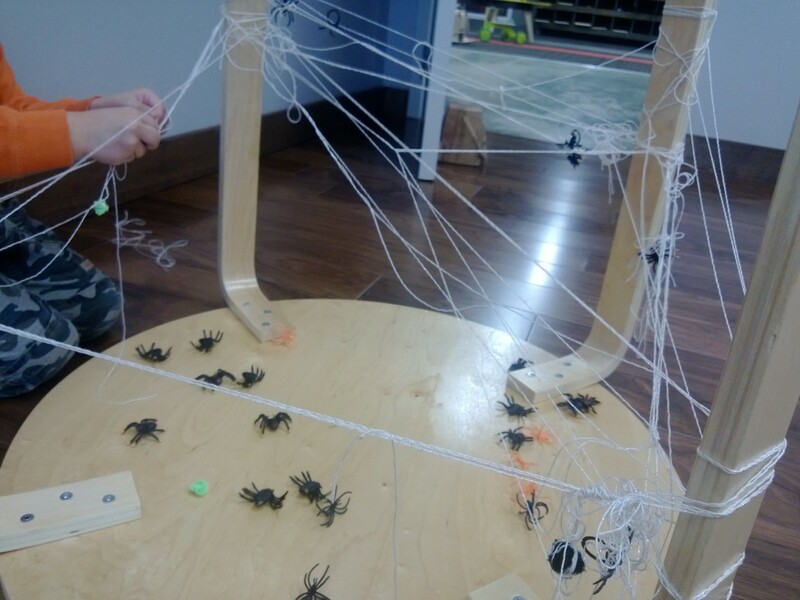 Make a Velcro web and bugs from old socks or pairs of tights. 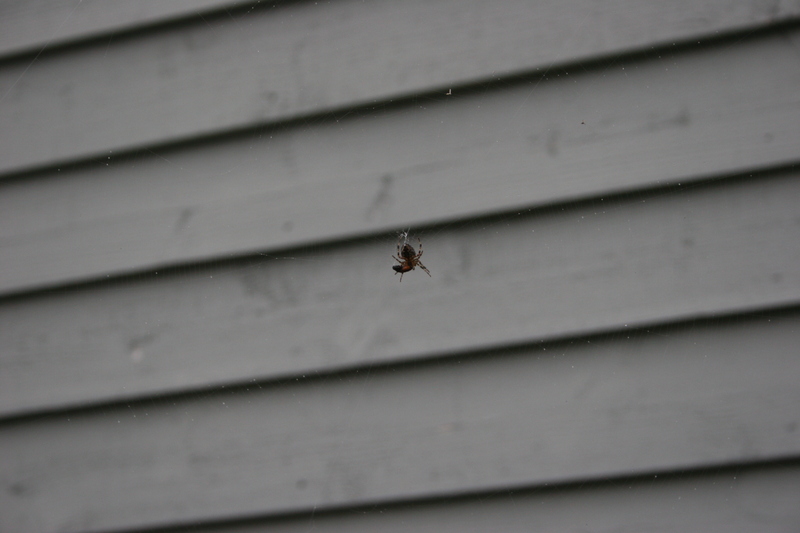 Throw the bugs at the web and see how many get stuck. 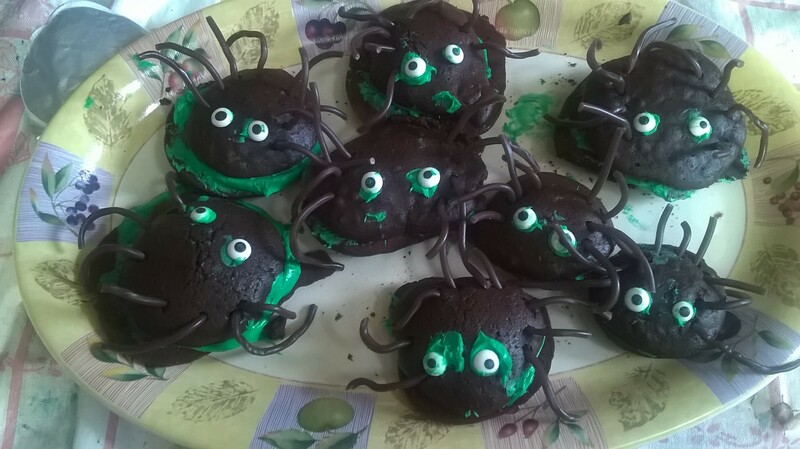 Pipe an icing spider web onto a plate and make spider cakes to fit inside. My 4-year-old has just learned her first Welsh word ,’canu’ meaning to sing. How does a child living in the US with non- Welsh speaking parents learn such a word? From the wonderful, bilingual album, the girls received as a gift. 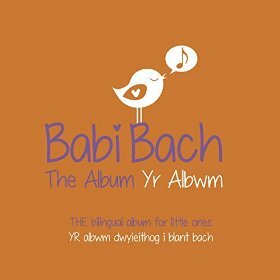 The album was created by a friend of mine who runs ‘Babi Bach’ a bilingual music group in South Wales. The girls are fascinated by this unfamiliar language and love it when I tell them the meaning of a Welsh word. The songs are familiar favourites, including, row, row ,row your boat, incey wincey spider and one finger, one thumb and are sung by male and female voices, in both English and Welsh. The Welsh versions brought back distant memories of my days as a student teacher in Wales. As an added surprise, when browsing the cover, I recognised one of the singers as a child who attended my after-school club in the 90’s. My friend confirmed that it was him, all grown up and singing professionally. More happy memories of home. Living in the US, my children are unlikely to hear the Welsh Language. I’m not a Welsh speaker but the Welsh language was at the forefront of my early school years. We had Welsh assembly once a week, played games in Welsh and learned the Welsh language. The girls are fascinated that there is this strange language that is only spoken in Wales. The girls sing along in English and try their best to join in with the Welsh. Initially, they spouted gibberish, laughing hysterically at the complicated words in ‘head, shoulders,knees and toes. My Welsh isn’t really strong enough to help them but I point out the words I recognise. My next step is to print off the Welsh lyrics , so I can sing along. The songs are separated by enthusiastic conversations between a group of friends in both languages, so it is easy for them to follow. After hearing the songs a few times, they are already beginning to sing along in Welsh even without my help. I can highly recommend this for Welsh parents who have moved away from Wales. It is the perfect introduction to the Welsh language. Equally, it is a simple and fun way to learn Welsh for children living in Wales. Digital copies of Babi Bach yr Albwm are available from Amazon Music and other digital music platforms. Disclaimer :This is not a sponsored post no payment was received. When it comes to Hallowe’en my repertoire of songs is not as large as some other seasonal favourites. 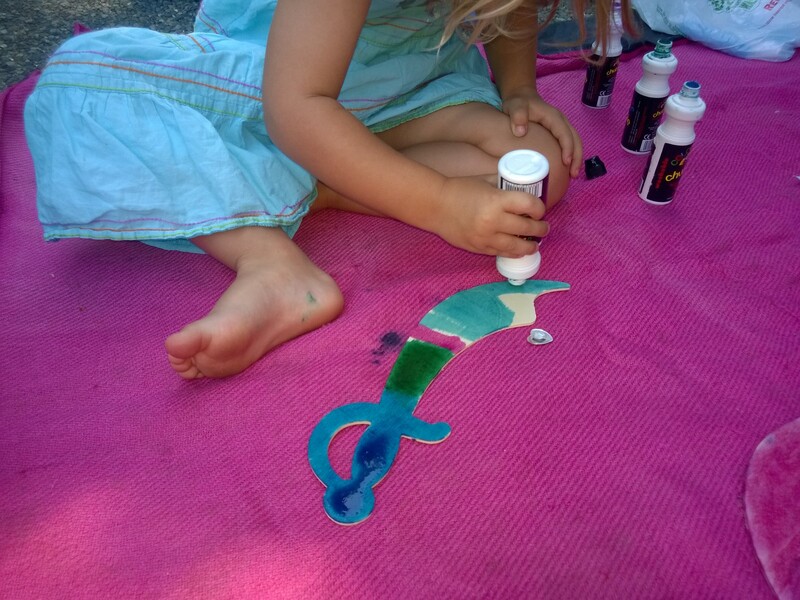 Tweaking a few nursery songs and finding a few favourites online, I put together a small package of activities for a preschool music session. Move the spider up your body and make rhymes with different body parts eg There’s a spider on my tummy and I really want my mummy, there’s a spider on my knee and he’s very scary. Lyrics to the first verse are here. If you’re a dragon and you know it, breathe out fire. This is the way we carve a pumpkin on Hallowe’en. This is the way we cut off the top…. This is the way we scoop out the seeds…. This is the way we cut out a face….. This is the way we light it up…. 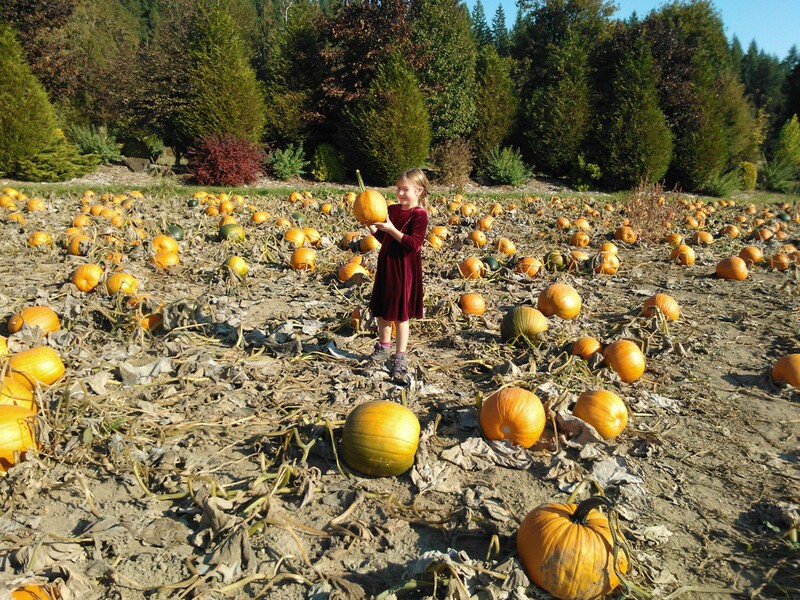 The Jack o Lantern keeps monsters away…. More and more, more and more. Turn off the lights and give each child a flashlight/torch. Play spooky Music – We chose ‘Night on Bald Mountain’ by Mussorgsky . 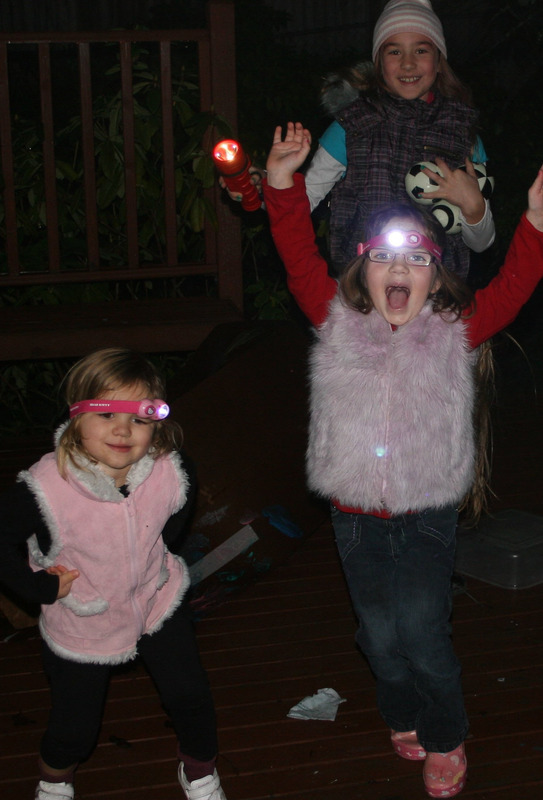 Encourage the children to make their torchlight dance to the music. 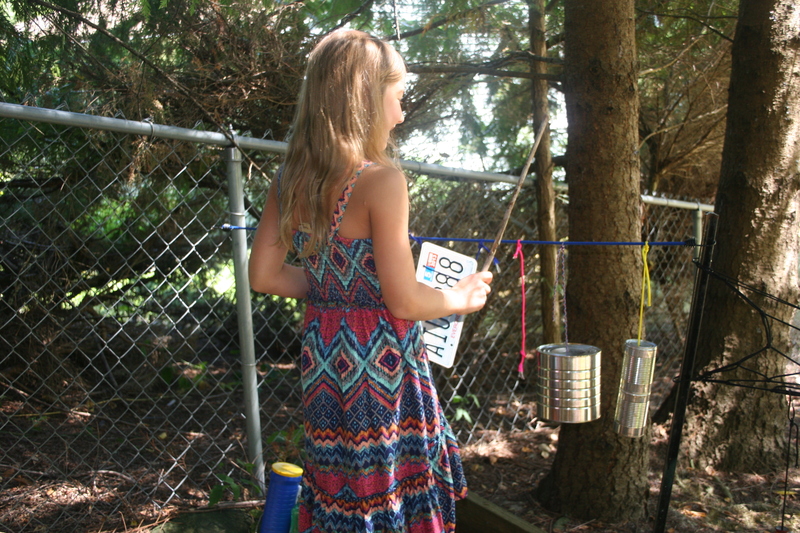 Help the children to choose instruments that might add to the atmosphere. (Deep drums, a spring drum, rainmakers and penny whistles are especially good). The crocodiles don’t like this colour so they won’t pull it into the swamp. 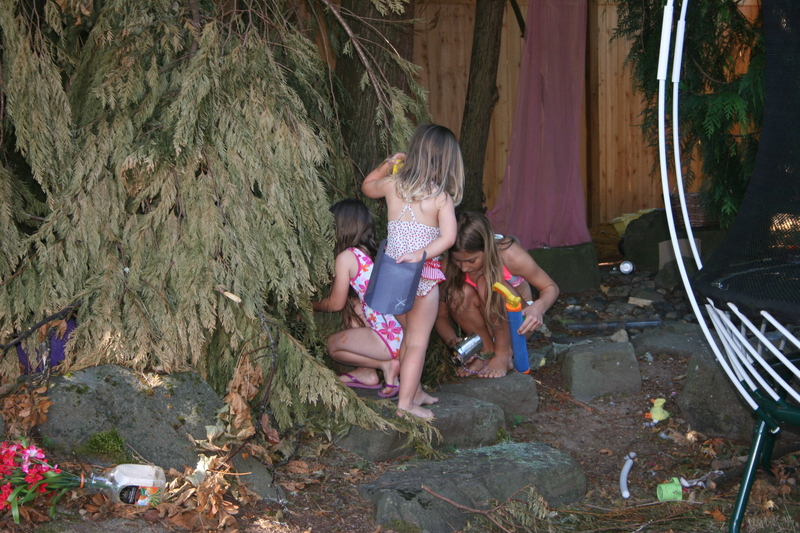 In the hot sunshine the girls don’t really need a lot of encouragement to play with water. 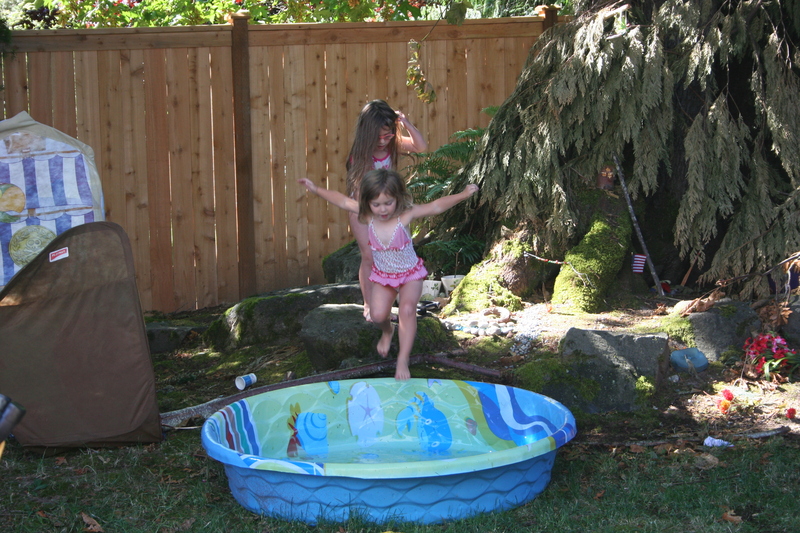 When I suggested we set up their pirate ship in the garden and make a plank that they could jump from into the paddling pool, they thought it was a great idea. 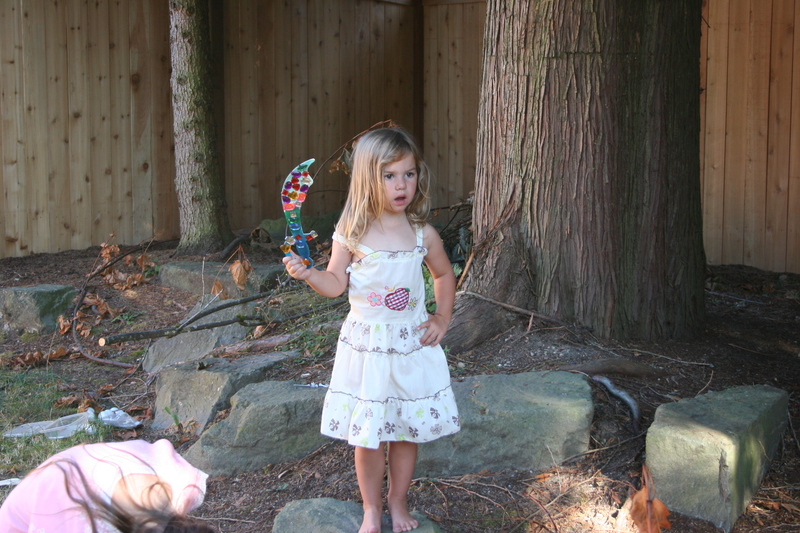 To make it truly authentic, we made pirate swords so they could push each other off the plank in true pirate fashion. 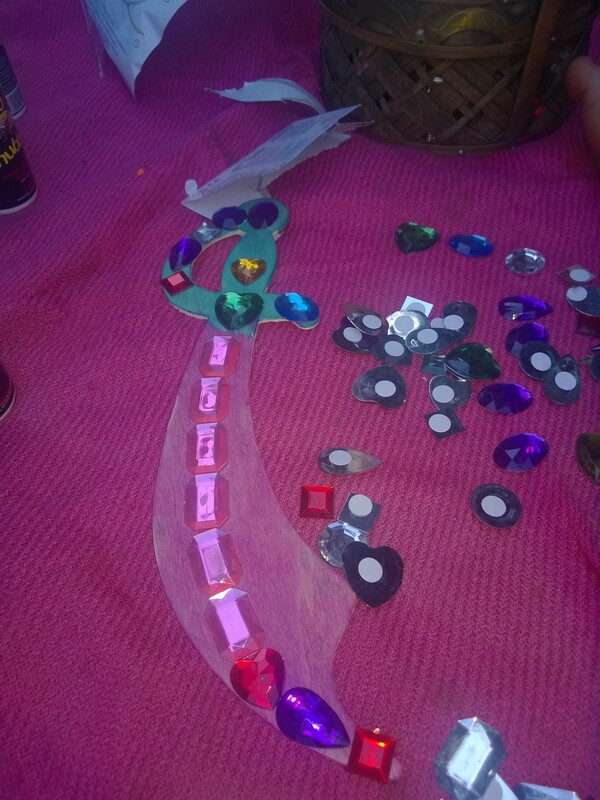 They coloured them with chubbie paint markers before adding jewels. We emptied the paddling pool to clean it, leaving water on the lawn. The girls decided that this should be a swamp where crocodiles lived. They collected branches to lay across it so that they could cross the swamp. Leaves are the only thing that works to help us cross the swamp, everything else sinks. 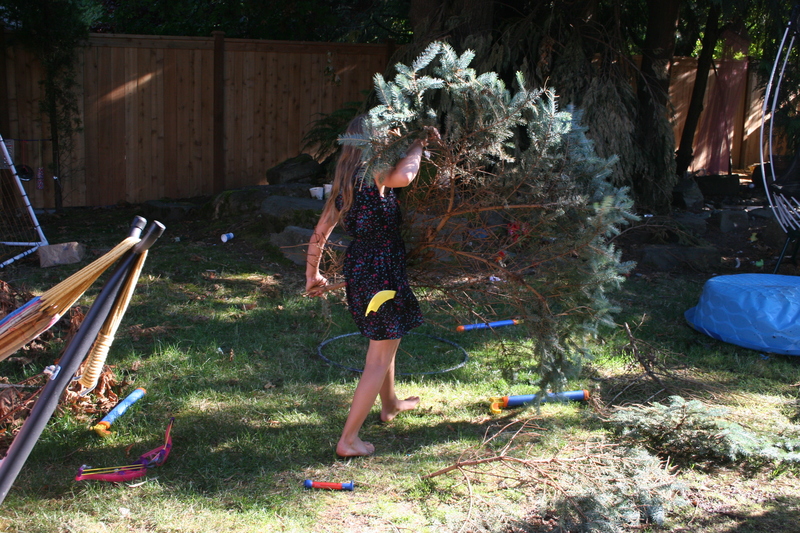 They then went on the lookout for something to use as a plank and decided on a large branch that had been pruned from our maple. I had been changing the words to songs to fit a pirate themed music class. ‘If you’re a pirate and you know it say aaarh’, ‘1 little, 2 little, 3 little pirates’ and , ‘there were 10 in the ship and the pirate said walk the plank’. 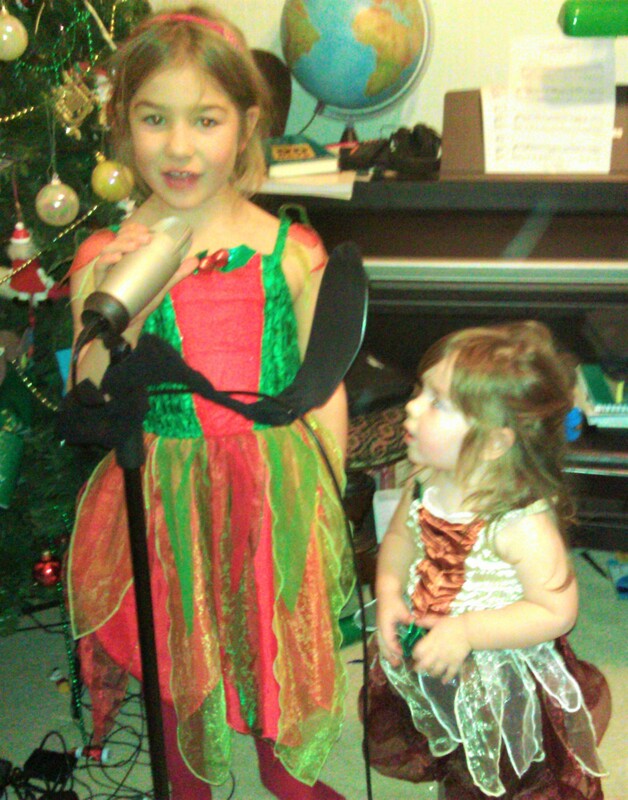 The girls made up songs of their own, counting down as the pirates walked the plank one-by-one. Next they set out on a pirate treasure hunt. One of the girls hid the treasure and made an X from sticks to mark where it was. My eldest made a map and clues for the girls to follow. We should find a green ball here. Now we need to go this way towards the den. 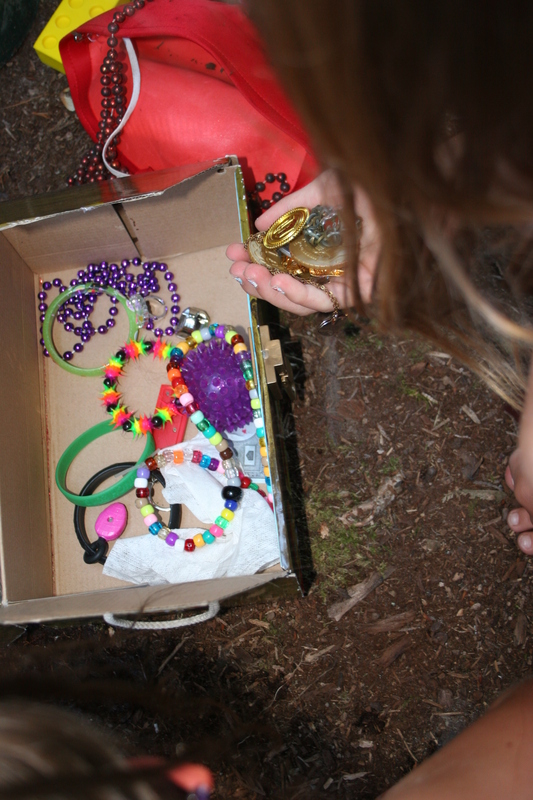 Open the chest with the magic key. Wow, look at the treasure! Disclosure: This is not a sponsored post. Some of the art materials were gifted for trial purposes. Welsh people often get asked if they are born being able to sing? As if it is some magical power that Celtic people posses from birth. Now, some people may believe this is true but I believe something slightly different. I believe that Welsh people are born into a heritage rich in tradition and passion and one way that we pass this on is through song. Children will be taught nursery rhymes and songs in Welsh and English, even if English is the only language spoken at home (which Welsh people here have ever sung “Mi Welais Jac y Do” or “Calon Lan” without learning any other welsh?!) I think that, from birth, singing is something that we usually hear every day and so it becomes something very natural for children to do; to sing along and join in with the song – to pass on the history, the tradition and the language. Music is one of the only things that engages the WHOLE brain and, as such, is an incredibly useful teaching aid. I bet you can remember songs that you sang at school when you were five far more easily than you can remember the periodic table! Unless you can sing that too like the fabulous Tom Lehrer! 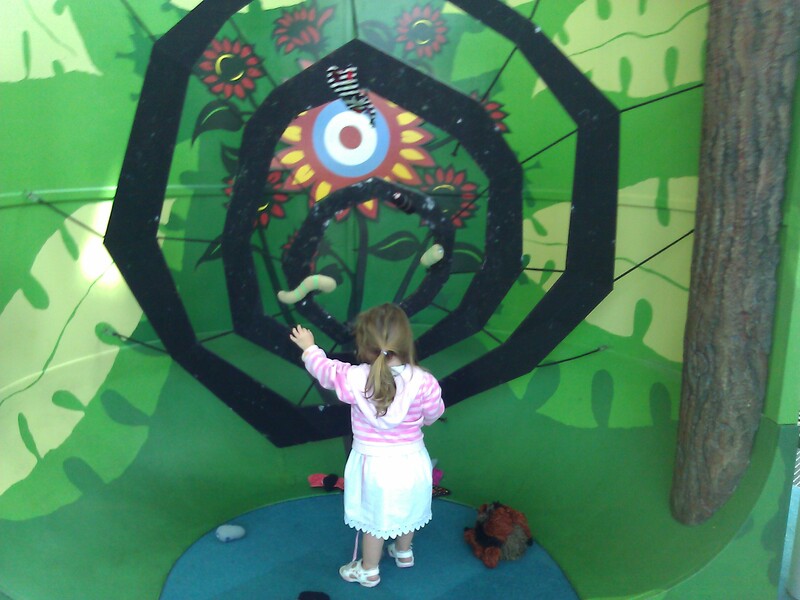 Those of you who follow my Facebook Page may have seen a video of my daughter playing in our sound garden. 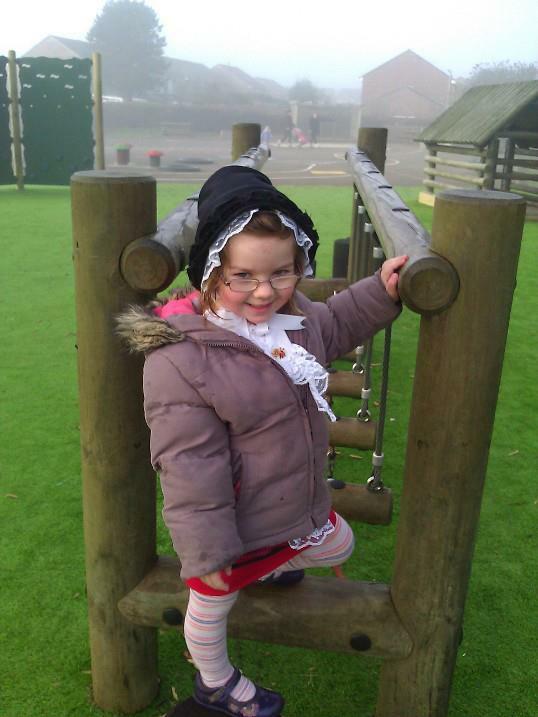 If you pop over to Edspire you will find my guest post about how it was built.